Mark Zuckerberg is making a big bet on a different sort of business. 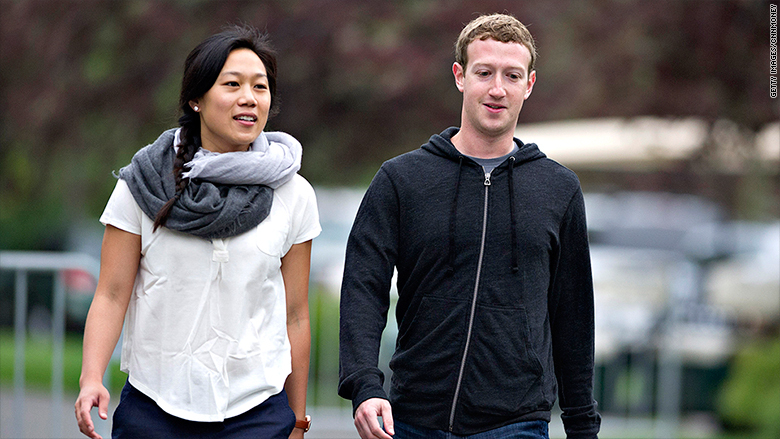 The Facebook founder and his wife Priscilla Chan are starting a school with a unique twist. It will offer healthcare services to all of its students from birth to graduation. The K-12 school, called "The Primary School," will be a private, nonprofit institution opening in August 2016 in East Palo Alto, California. "It's a new kind of school that brings education and healthcare together," Zuckerberg said in a Facebook (FB) post Friday. Funded by the Mark Zuckerberg and Priscilla Chan Donor Advised Fund, the school will be geared toward low-income students and attendance will be free. In some cases, the school will even accept students before they're born and offer prenatal support for their families. The goal is to literally offer healthcare and education from birth through graduation. It will also have an on-site clinic, primarily for students, and a partnership with the Ravenswood Family Health Center. Located near the school, Ravenswood will provide comprehensive health and dental care to children from the school and their families. "Health and education are closely connected," said Zuckerberg in his post. "When children aren't healthy, they can't learn as easily. Many kids and teachers across the country deal with the consequences of poor health in classrooms every day." Zuckerberg said Chan, a pediatrician who at one point also taught 4th and 5th grade science, has been working on the school initiative for over a year. When the Primary School launches next year, it will offer full-time classes for 4-year-olds and support programs for parents of infants and two-year-olds. The school will add a grade each year. In her own Facebook post, Chan said her personal experiences pushed her to "find a better way of caring for and educating our children." Chan previously ran an after-school program in a housing project and worked as a pediatrician in a hospital for low-income and uninsured patients. Zuckerberg and Chan are also expecting their first child, a daughter. The Zuckerbergs have previously supported schools with innovative models, including investments in AltSchool, a private school that features mixed-age classes. It was founded in San Francisco in 2013.